Do Philippine citizens need a visa to enter Europe? Who can apply for a Schengen visa in the Philippines? How to apply for a Schengen visa in Philippines? Where to apply for a Schengen visa in the Philippines? The archipelagic country of the Philippines in Southeast Asia is the 13th most populous country in the world. As such, the country named in honor of King Philip II of Spain, gave to the world a large share of tourists. According to 2017 statistics, Filipinos filed 170,695 visa applications to the Schengen Area with an approval rate of over 80%. Applying for a Schengen Visa from the Philippines requires from the applicant to follow some steps, including meeting the Schengen visa requirements. Following in this article, you may find the necessary information on the application procedures for a Schengen Visa to 26 European countries. Yes, Philippine passport holders are required to obtain a Schengen visa in order to enter any European country in the Schengen Zone. *Starting January 1, 2021, these categories of Philippine residents will have to apply for an ETIAS before traveling to Europe, in order to be allowed to enter the area. Not everyone can apply for a Schengen visa in the Philippines. Check out which Schengen visa type you need. Depending on the purpose of your visit to Schengen Area, there are a few Schengen visa types for Philippines traveling to Europe. Figure out where you need to submit your Schengen visa application in the Philippines. Pay attention to the embassy / consulate / VAC of which country you need to apply at, as well as under the jurisdiction of which you fall. Find out when is the right and most favorable time to apply for a Schengen visa in the Philippines. Collect the required Schengen visa documents for Filipinos. Make an appointment for a visa interview in the Philippines. You may have to make an appointment online, through phone, or in person. Below in this article, you can find more information for each embassy / consulate / VAC located in Philippines. Pay the visa fee. All Schengen states have fixed and synchronized visa fees. For more information, check the Schengen visa fees for Filipinos. Wait for the processing of your visa. Visa application form. Complete all of the required information and print the form. Here you can find a guide on how to fill up a visa application form! Do not forget to sign it at the end. A Philippine valid passport or other travel document. This travel document should be no older than ten years, and with a validity of at least another three more months beyond your planned exit date from the Schengen Zone. It should also have at least two free pages for the visa sticker. Two identical photos. Taken within the last three months. The photo must be taken according to the Schengen visa photography requirements as set by the Schengen countries. Evidence of legal residence in Philippines. – This could be a national ID card for Philippine nationals, or a Philippine residence permit for internationals. Round-trip Flight Itinerary. A two-way flight reservation from the Philippines to a Schengen country and back. It should specify your entry and exit date as well as flight numbers. Europe Travel Health Insurance. Purchase insurance for your whole period of stay in Europe, valid in all Schengen member states. It should have coverage of at least €30,000 for medical emergencies, as well as repatriation in case of death. Proof of Accommodation. Some sort of document that shows where you will be accommodated during your stay in Europe, i.e. hotel booking, rent agreement, letter of invitation, etc. Means of Subsistence. Proof that you have the financial means to support your stay in the Schengen Area. Check how much money each Schengen country requires you to have, to stay in their territory. A cover letter. In this letter, give more specific information on our trip, as the reasons why you want to visit the Schengen Area, which of the member states you wish to travel to, the amount of time you will be spending in this territory and other details about your trip. A copy of your business license in Philippines. Company bank statement of the latest 6 months. No objection letter from School or University in Philippines. Confirmation of Employment letter, no older than three months, from their spouse’s employer stating the position held within the company as well as the starting date. Depending on the Schengen visa type you are applying for in the Philippines, you will have to submit additional documents to support your purpose of entry into the Schengen Area in Europe. If the embassy of the country you wish to visit in the Philippines approves your application, you will get your visa in the form of a sticker affixed to your passport. Make sure you read the visa sticker carefully in order to understand the period you are allowed to stay in Europe. Please note that overstaying your Schengen Area visa has consequences. In addition, if you are struggling to arrange your trip, the articles How to find cheap flights from the Philippines to Europe and What do you need to pack when traveling from the Philippines to Europe will be quite helpful to you, to save money and to have a more pleasant journey to Europe. In case you are denied from getting a visa, you will also receive a reason for this decision. Read this reason carefully! If you think you have been rejected by mistake, you can always appeal the decision. On the other hand, if the decision has been taken justly, reapply by trying to avoid or correct the mistakes made in the previous application. How much does a Schengen visa for Filipinos cost? The Schengen Visa fees are €60 for all adult Filipinos. However, depending on their age and some other factors, there are categories exempt from paying the fee, or that at least benefit from the requirement of paying a lower fee. Check the Schengen visa fees for Philippines for more information in this regard! Where you need to apply, depends on the number of countries you are going to visit, the days you will be spending in each, and the way that Schengen countries have regulated Schengen visa submission in the Philippines. For more, check the rules on Where to apply for a Schengen Visa in the Philippines and How to Choose the Right Embassy/Consulate/VAC to Submit a Visa Application in the Philippines! The Embassy of Austria in the Philippines has outsourced visa submission to VFS Global. Which means Filipino citizens will have to submit their Schengen visa applications to Austria at one of the Visa Application Centers located in Manila or Cebu. The VACs accept Schengen visa applications every workday (except Thursday) from 14:00 to 16:00. The Embassy of Belgium in the Philippines has outsourced visa submission to VFS Global. Which means Filipino citizens will have to submit their Schengen visa applications to Belgium at the Visa Application Center located in Manila. The VAC accepts Schengen visa applications every workday. Walk-in applications are accepted in all categories from 07:00 to 09:00, whereas from 09:00 to 14:00 are accepted applications by appointment only. The Czech Embassy in the Philippines has outsourced visa submission to VFS Global. Which means Filipino citizens will have to submit their Schengen visa applications to Czech Republic at one of the Visa Application Centers located in Manila or Cebu. The VACs accept Schengen visa applications on Mondays and Tuesdays. Walk-in applications are accepted in all categories from 07:00-09:00, whereas from 09:00–14:00 are accepted applications by appointment only. The Embassy of Denmark in the Philippines has outsourced visa submission to VFS Global. Which means Filipino citizens will have to submit their Schengen visa applications at one of the Visa Application Centers located in Manila or Cebu. The VACs accept Schengen visa applications every workday. Walk-in applications are accepted in all categories from 07:00 to 09:00, whereas from 09:00 to 14:00 are accepted applications by appointment only. The Royal Norwegian Embassy represents Estonia in issuing visas to Estonia for the residents of the Philippines. For more check the “Apply for a visa to Norway” section. The Royal Norwegian Embassy represents Finland in issuing visas to Finland for the residents of the Philippines. For more check the “Apply for a visa to Norway” section. The Embassy of France in the Philippines has outsourced visa submission to VFS Global. Which means Filipino citizens will have to submit their Schengen visa applications at the Visa Application Center located in Manila. The VAC accepts Schengen visa applications every workday from 07:00 to 16:00. The Embassy of Germany is the only responsible body for the admission and processing of Schengen Visa applications to Germany in Philippines. Filipino citizens will have to submit their Schengen visa applications at the German embassy in Manila. The Embassy accepts Schengen visa applications from Monday to Thursday starting at 08:00 to 14:30, and in Friday from 08:00 to 11:30. 25/F Tower II, RCBC Plaza, 6819 Ayala Ave. The Embassy of Greece is the only responsible body for the admission and processing of Schengen Visa applications to Greece in Philippines. Filipino citizens will have to submit their Schengen visa applications at the Greek embassy in Manila. The Embassy accepts Schengen visa applications from Monday to Thursday starting at 08:00 to 12:00. Makati City, Metro Manila, Philippines 1229. The Embassy of Hungary is the only responsible establishment for the admission and processing of Schengen Visa applications to Hungary in Philippines. Filipino citizens will have to submit their Schengen visa applications at the Hungarian embassy in Manila. The Embassy accepts Schengen visa applications on Tuesdays, Wednesdays and Thursdays from 9:00 to 12:00. The Royal Norwegian Embassy represents Iceland in issuing visas to Iceland for the residents of the Philippines. For more check the “Apply for a visa to Norway” section. The Embassy of Italy in Philippines is responsible for the admission and processing of Schengen Visa applications to Italy. However, applicants can also submit their applications at the VIA center (Visa Information and Application Center), an outsourcing company for the collection of applications. The Italian Embassy in the Philippines accepts Schengen visa applications to Italy by appointment only, every weekday (except Thursday), from 9.00 to 12.00, Monday and Wednesday in the afternoon also, from 14.30 to 16.00. The VIA Centers in Manila and Cebu accept Schengen visa applications to Italy, from Monday to Thursday from 08:00 to 14:30 and Friday 08:00 to 13:30. The Embassy of the Netherlands in the Philippines represents Latvia in issuing visas to Latvia for the residents of the Philippines. For more check the “Apply for a visa to Netherlands” section. The Embassy of the Switzerland in the Philippines represents Liechtenstein in issuing visas to Liechtenstein for the residents of the Philippines. For more check the “Apply for a visa to Switzerland” section. The Austrian Embassy in the Philippines represents Lithuania in issuing visas to Lithuania for the residents of the Philippines. For more check the “Apply for a visa to Austria” section. The Embassy of Belgium in the Philippines represents Luxembourg in issuing visas to Luxembourg for the residents of the Philippines. For more check the “Apply for a visa to Belgium” section. Malta has outsourced visa submission in the Philippines to VFS Global. Which means Filipino citizens will have to submit their Schengen visa applications at one of the Visa Application Centers located in Manila or Cebu. The VACs accept Schengen visa applications every workday from 12:00 to 15:00. The Embassy of the Netherlands in the Philippines has outsourced visa submission to VFS Global. Which means Filipino citizens will have to submit their Schengen visa applications at the Visa Application Center located in Manila. The VAC accepts Schengen visa applications every workday from 08:00 to 13:00 and from 14:00 to 15:00. The Embassy of Norway in the Philippines has outsourced visa submission to VFS Global. Which means Filipino citizens will have to submit their Schengen visa applications at one of the Visa Application Centers located in Manila or Cebu. The VACs accept Schengen visa applications every workday from 11:00 to 14:00. The Embassy of the Netherlands in the Philippines represents Poland in issuing visas to Poland for the residents of the Philippines. For more check the “Apply for a visa to Netherlands” section. The Greek Embassy in the Philippines represents Portugal in issuing visas to Portugal for the residents of the Philippines. For more check the “Apply for a visa to Greece” section. The Embassy of Czech Republic in the Philippines represents Slovakia in issuing visas to Slovakia for the residents of the Philippines. For more check the “Apply for a visa to Czech Republic” section. The Embassy of Belgium in the Philippines represents Slovenia in issuing visas to Slovenia for the residents of the Philippines. For more check the “Apply for a visa to Belgium” section. The Embassy of Spain in the Philippines has outsourced visa submission to BLS International. Which means Filipino citizens will have to submit their Schengen visa applications at their Visa Application Center located in Manila. 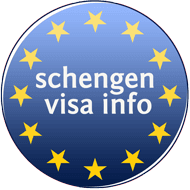 The VAC accepts Schengen visa applications from Monday to Thursday starting at 07:00 to 11:00 and on Fridays starting at 07:00 to 09:00. The Embassy of Norway in the Philippines represents Sweden in issuing visas to Sweden for the residents of the Philippines. For more check the “Apply for a visa to Norway” section. The Embassy of Switzerland has outsourced visa submission in the Philippines to VFS Global. Which means Filipino citizens will have to submit their Schengen visa applications to Switzerland at the Visa Application Center located in Manila. The VAC accepts Schengen visa applications every workday from 07:00 to 14:00.